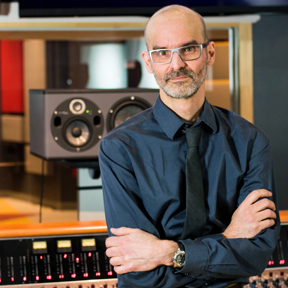 Jean-Pierre Côté balances a fascinating career in Montreal, Canada between his role as a professor and a freelance studio designer in acoustics, with expertise in the game audio industry. 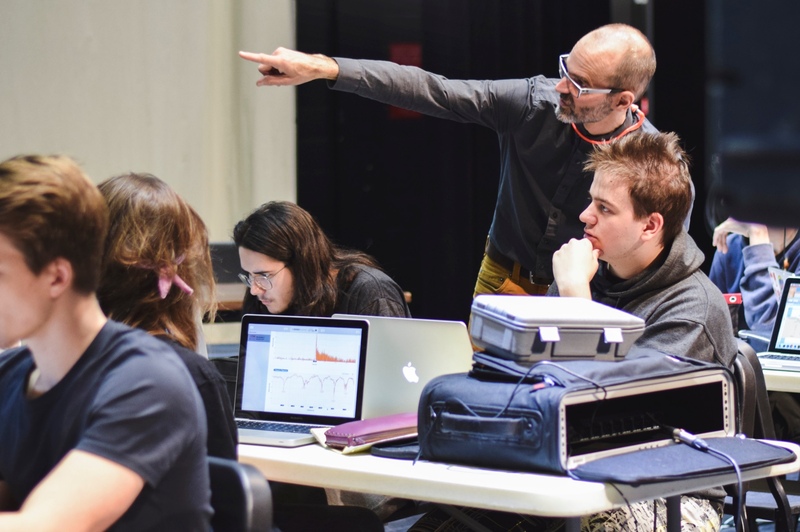 Recognizing the difficulty in understanding what sound “becomes” when it is in a room and searching for methods to teach acoustics, Jean-Pierre found FuzzMeasure was just the tool he needed. 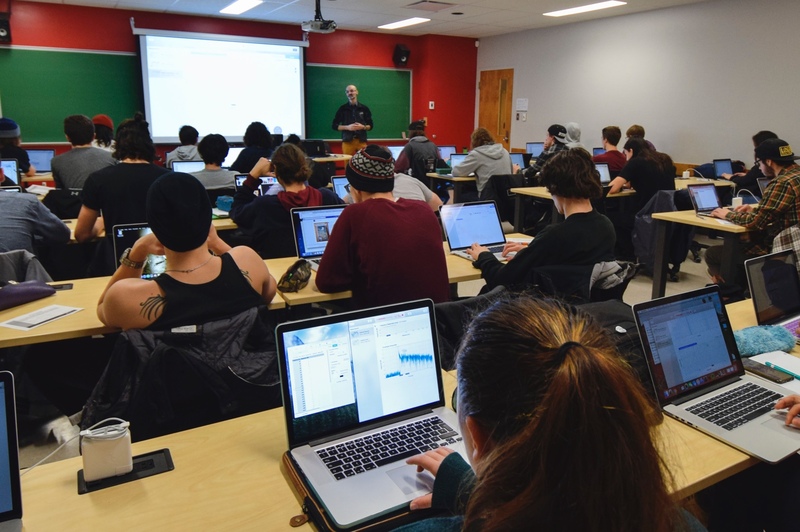 Here, Jean-Pierre shares with us how he uses FuzzMeasure to translate professional acoustics design work back to the classroom. We're thrilled that FuzzMeasure is used in your classroom. What led you to this decision? Acoustic measurement and analysis is abstract to most people; so as teachers we need tools that are as obvious and straightforward as possible. FuzzMeasure fits in because its simple and clear to use. It's easy to compare measurements and clearly isolate acoustic phenomena. Also, it’s great that each student can turn in a document containing all their measurements, with markers in the graphs, and comments. And I especially like the time stamps on the measurements! Could you describe some of the topics covered in your classroom? We generally begin with verifying speakers’ time alignment with the Delay measurement then look at room resonances by correlating the Frequency Response, Rev Time and Waterfall graphs. Then we use official reference documents to verify compliance. For instance, EBU Tech. 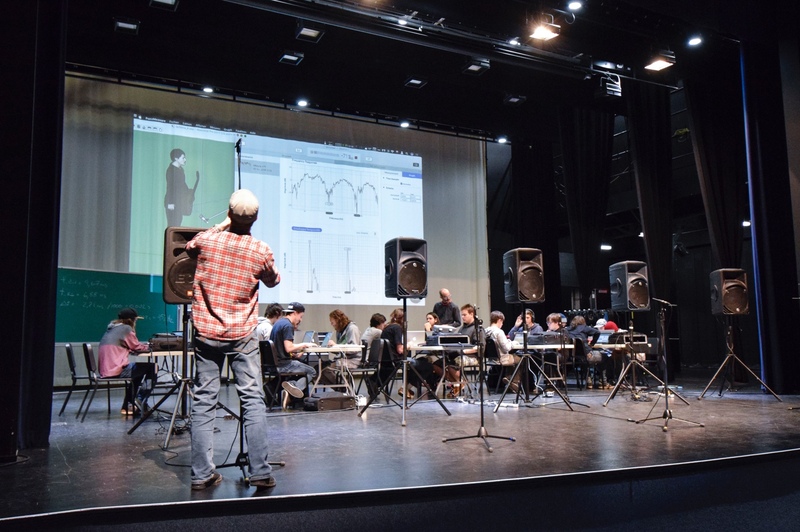 3276 provides guidelines for early reflections, reverberation time and operational room response curve in critical listening spaces. We follow this progression using FuzzMeasure’s Envelope Time Curve, Rev time, and Frequency Response analysis. Along the way, we look at acoustics fundamentals relating to each of the measured criteria. For instance, said speaker time alignment involves speed of sound versus distance, and resonances involve wavelength, and room proportions. We use the Export to CSV feature for further analysis like auto verification of compliance to tolerances (in Excel, Numbers and/or Google Sheet). I also like to use the Harmonic Distortion and Waterfall graphs to show the signal to noise ratio of students’ measurements. What spaces do your students measure? At school, the students measure our concert hall and studios’ sound systems and acoustical properties. But I also insist on having the students work in their personal listening space as much as possible. No worries if it has bad acoustics. Actually, it’s just what we’re looking for since well-designed studios have more subtle problems that are difficult to observe for students. In addition to teaching acoustics, we understand you do professional freelance work as a Studio Designer? Yes, my consultant work is more and more happening in the game production industry. One of my main clients is Ubisoft Montréal. I design audio production studios for them, and calibrate their monitoring systems. We work on setting audio performance objectives for this new industry. The use of audio analysis software is crucial in a situation where one must quantify goals and reproduce that quality in many studios throughout a large production facility. I use SpectraFoo Complete for the first settings in real time, and FuzzMeasure for fine-tuning and then data recording and export for analysis and services reports. From your experience, what do you see as a challenge when measuring acoustics? I would think the main difficulty with measuring acoustics is to find out what to do with the measurements. Looking at fancy graphs is “wow”, but then what do you do from there, right? That’s why in the classroom we start from objectives (reference docs) and verify conformity to distinct criteria using FuzzMeasure. We then observe the objective and subjective consequences of non-compliance, and study how to correct problems. Then it’s easy with FuzzMeasure to compare before and after measurements, listening to the results as well. Another advantage with FuzzMeasure is its use of ISO standard graphs for reverberation time and speech intelligibility measurements. Both in the classroom as well as with clients, I appreciate the ability to refer to well-established indicators of acoustical quality.